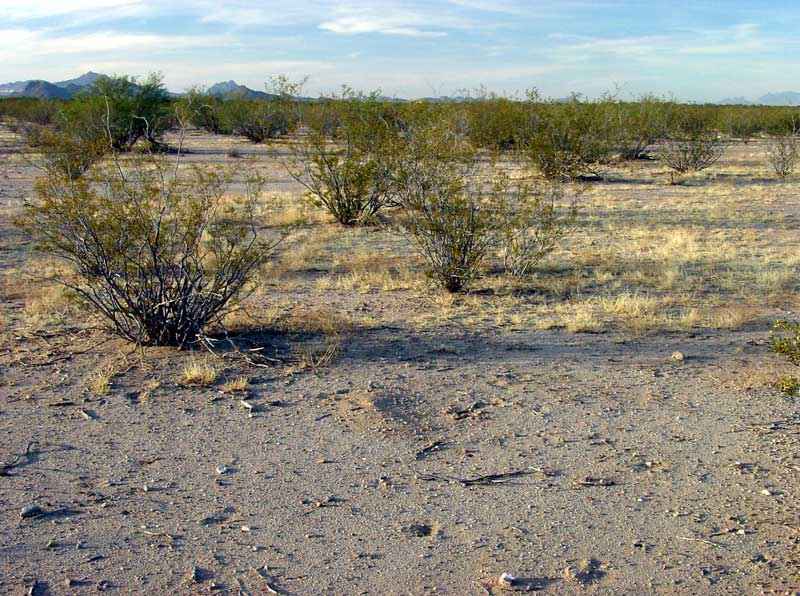 Above: Classical Lower Colorado River Valley Sonoran Desert (LCV) is characterized by trees growing only in drainages and saguaros, if present at all, grow on the flats, not hillsides. 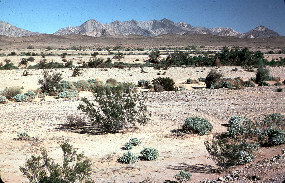 The mountain slopes support only small plants and appear barren from a distance. 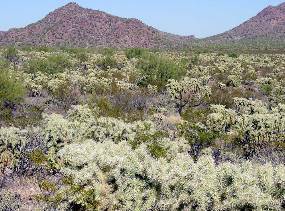 Most areas in IFNM (images below) mapped as LCV actually still have elements of Arizona Upland Sonoran Desert. 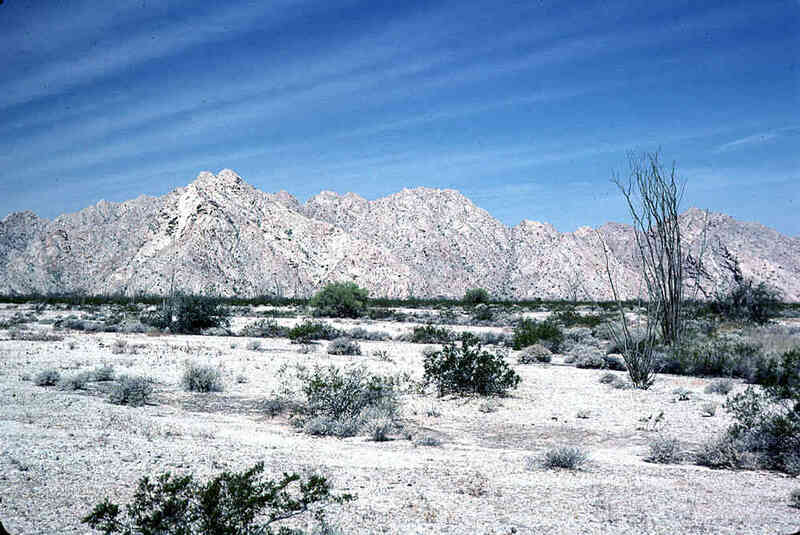 Above: The broad valleys characteristic of LCV are usually dominated by creosotebush (Larrea divaricata tridentata), as here in the Avra Valley (left) and Aguirre Valley. 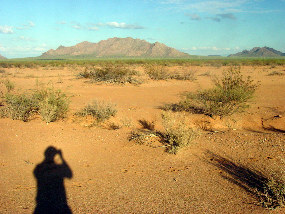 Above: The vegetation of these valleys or lower bajadas fit the criteria for LCV (the trees are in drainages and there are saguaros on the flats), but the adjacent West Silver Bell Mountains (left) and Sawtooth Mountains in the backgrounds support sparse trees and saguaros, more typical of Arizona Upland. These two areas are in the transition between two subdivisions of the Sonoran Desert. A sharp transition between LCV and AZU. 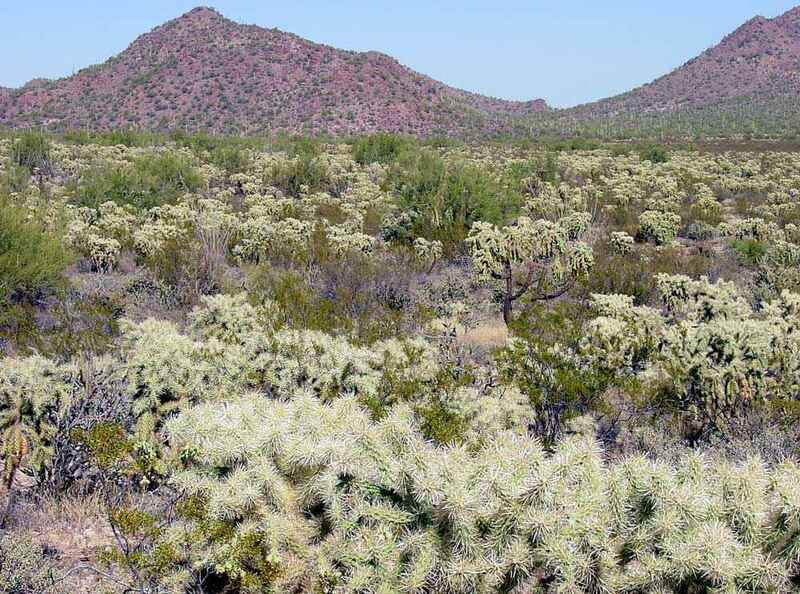 The valley's dense jumping chollas and few trees (which are in drainages) are indicative of LCV. 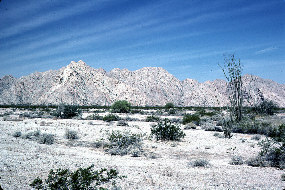 The dense woodland of trees and saguaros on the bajada and slopes of the Pan Quemado Mountains in the background are classic Arizona Upland. 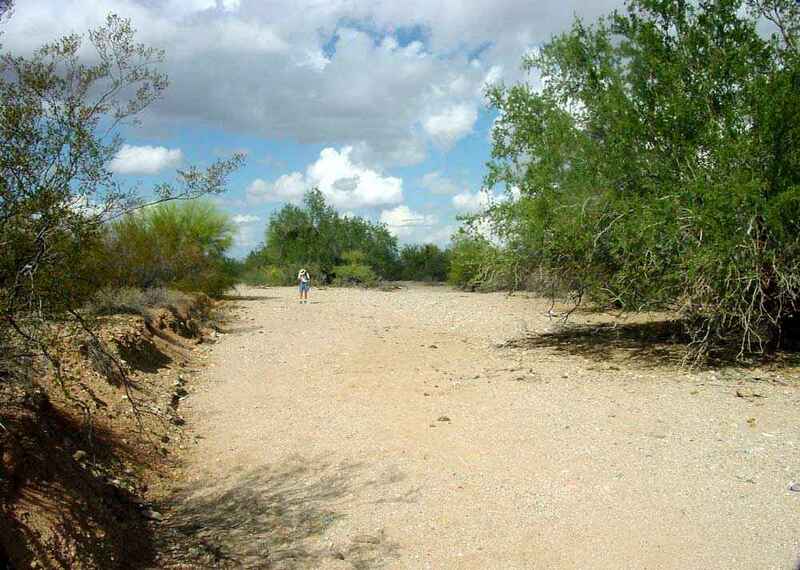 This large tree-lined wash draining the West Silver Bell Mountains is a good example of LCV. 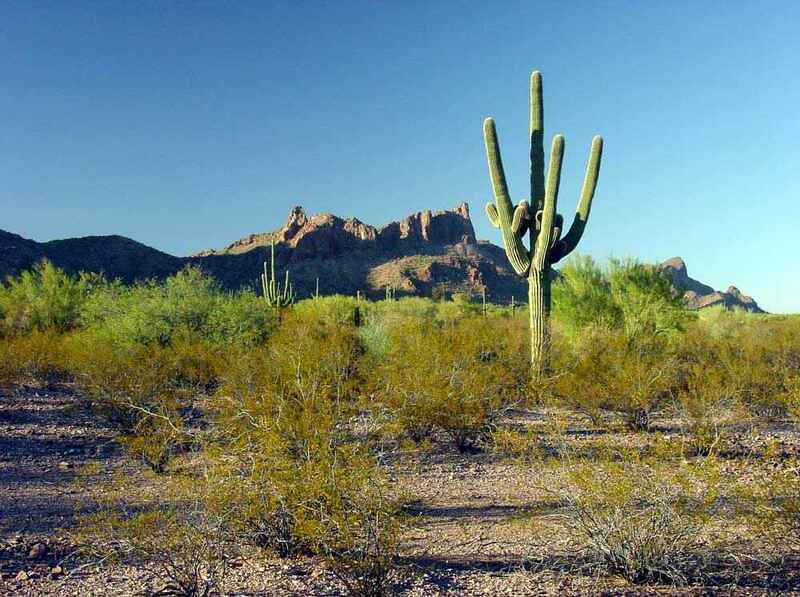 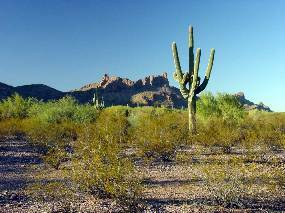 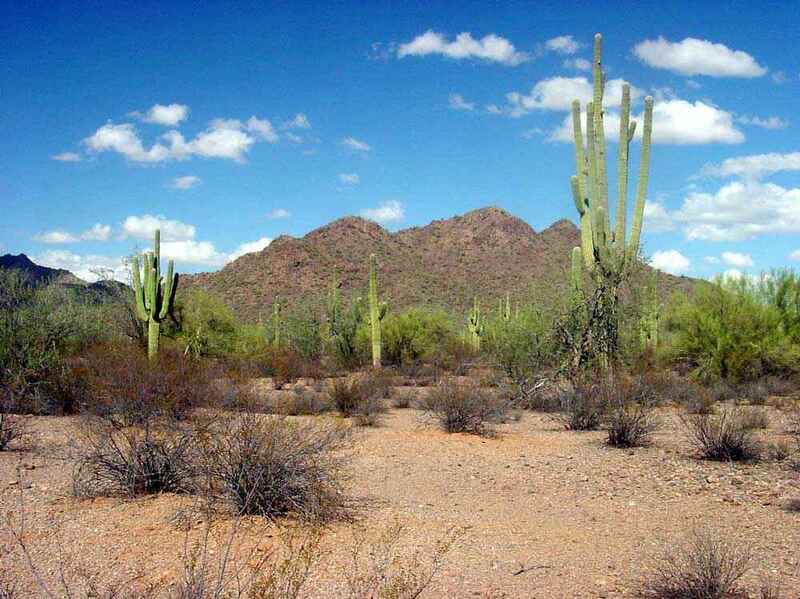 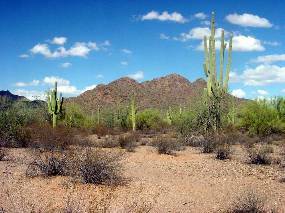 The adjacent flats support only shrubs and sparse saguaros.